ProgressiveEnviro.com has an extensive line of water filtration systems. Individuals units from 3/4" to 24" provide filtration from 3600 microns to 1 micron. 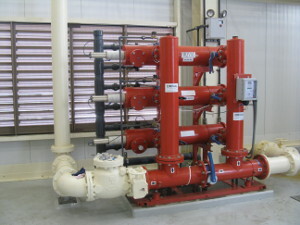 In flow rates up to 12,000 GPM, these filters offer full flow filtration at a reasonable cost, low pressure drop, and easy manual or automatic self-cleaning. Filters are available in carbon or stainless steel with ProgressiveEnviro.com's optional pressure drop System. 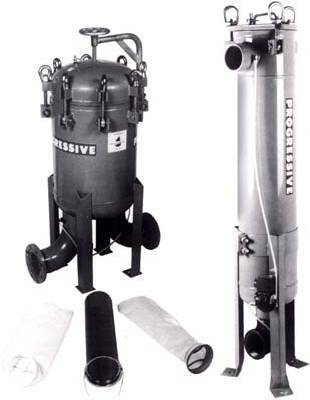 ProgressiveEnviro offers a large line of filtration products for industrial water treatment system equipment and industrial water purification. We design, sells and services water purification systems, food and beverage water systems, and commercial water filtration applications for all types of businesses and industry. ProgressiveEnviro.com - 1.800.491.5815 - offers non-chemical water filtration solutions for business and industry in many states and locations: OH-Cleveland, Columbus, Cincinnati, Western NY-Buffalo, Rochester, Western PA-Erie, Rochester, WV-Parkersburg, Charleston, Huntington, KY-Louisville, Lexington, IN-Ft.Wayne, Indianapolis, South Bend, IL-Chicago, MI-Detroit, Lansing, NC-Charlotte, Winston-Salem, Raleigh-Durham, SC-Greenville, Columbia, GA-Atlanta, Augusta, TN- Knoxville, Nashville, Chattanooga, FL-Orlando, Tampa-St.Petersburg, Miami, Jacksonville, TX-Dallas-Ft.Worth, Houston, San Antonio, Austin. Custom designed systems using self cleaning filtration units, strainers, bag filters or solids separators that filter out sand, grit, and heavier materials. We offer a wide range of eco friendly filtration options to fit your niche water purification needs, whether industrial or commercial, agricultural or municipal.